Destroy balls by adding to 10.
jalada Chain Reaction is an entertaining remake of a popular chain arcade puzzle game. Collect the color bubbles on the field by combining them into chains. Besides a subtle strategy, various rewards will help you to solve a level in a faster way. Swap the two colours. 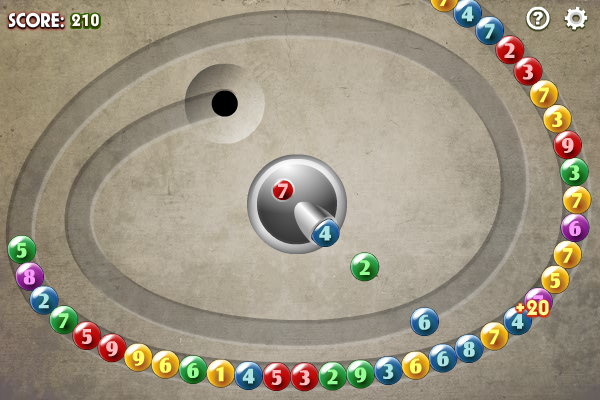 This short puzzle game is also known as Lucas` problem. Lovely solitaire card game to break from the routine, relax and celebrate love! Enchanting romantic music, bright graphics and a touching love story bring back sweet memories and put you in a good mood as well.